Fremantle has much to offer those that love to experience food rather than just dining out. It’s a haven of rich history for tourists and locals with many noteworthy places to visit. Some of best restaurants of Western Australia are right here in Fremantle, offering the finest in quality and taste. Therefore, we’ve narrowed down five of our favourites to tempt your tastebuds. Percy Flint’s Boozery and Eatery. Percy Flint’s at 211 South Tce, South Fremantle open Tuesday through to Sunday from Midday to Late. Relatively new to South Tce, this place is a buzz of nightlife with an alfresco area, outdoor fireplace and plenty of seating indoors too! It’s a hot spot to meet with friends and experience deliciously prepared share plates. The food here is amazingly tasty and is sure to impress your appetite. Craft beers and the best of cocktails are a must try when visiting and you can follow Percy Flint on Instagram and Facebook to see the latest specials and concoctions! Ruocco’s is a few doors down from us at 217 South Tce, South Fremantle and open Tuesday through to Sunday from 11:30pm- 10pm. In 1978, when Ruocco’s first opened it was the leading edge in serving the first wood-fired pizza’s in Western Australia. It is still renowned for their masterful pizza creations and is a beloved restaurant for Foodies and Families who want traditional, authentic Italian food. If you are a lover of bread and baked goods, you need to visit Abhi’s Bread at 270 South Tce. They are open every weekday from 6:30am-5pm and on weekends too. You’ll be in baked good heaven trying to decide which tasty morsel to treat yourself to. Abhi’s is conveniently located on the strip to stop in for that quick coffee and cake that you can enjoy there or take to go! For when you’re in a crunch they also sell whole cakes to pick up for dessert after dinner. In addition, you can check them out at the Farmers Markets in Manning and Stirling on weekends. The Fremantle Markets are historic and iconic to Fremantle having been loved and enjoyed since they first began in the late 1800’s. The markets are a cultural hub on South Tce and Henderson St for food, antiques, clothing, homewares, groceries and locally made products. 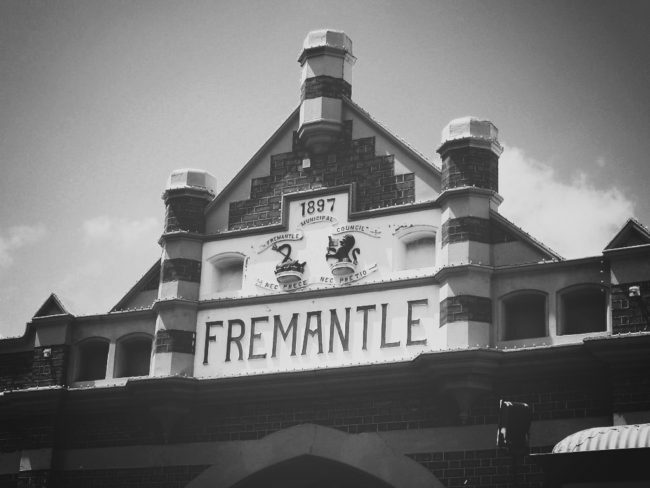 You can visit the Fremantle Markets Friday, Saturday and Sunday every week from 8am in the morning. There’s music and arts with a friendly atmosphere to enjoy as you wander through the stalls of treasures and yummy goods. Run Amok Hotdogs Unleashed the hotdogs you need to eat. At 386a South Tce the hotdogs here will change everything you think you know about eating hotdogs. FromTuesday – Sunday 11:30am-9pm you can go get your face stuffed in the best way with a premium bratwurst served up in a variety of delicious ways. So, bring your appetite because these dogs will fill you up!